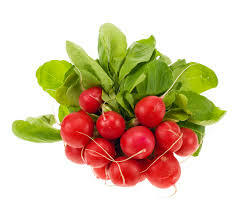 This weeks variety of locally grown radish. Super salad item but have you tried it cooked - it was a revelation! Simply heat some butter and gently cook the radish until tender - now whack up the heat and squeeze in juice of a lemon - oh my goodness - serve with crusty bread - you're welcome!